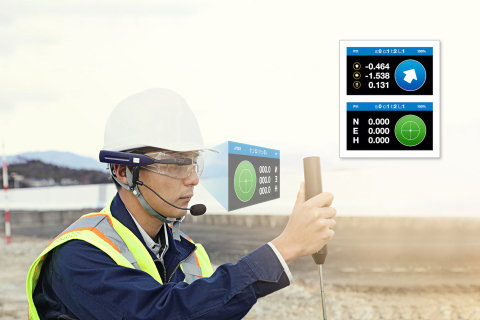 LIVERMORE, Calif. & CAPELLE A/D IJSSEL, Netherlands — (BUSINESS WIRE) — April 11, 2019 — Topcon Positioning Group introduces a new LN-100 hands free, voice activated heads-up display (HUD) solution. This wearable assistant provides visual layout directions via HUD glasses that guide the operator using an LN-100 to efficiently perform layout work at a construction site. The wearable assistant enables customers to use both hands to accurately mark layout points. Topcon Positioning Group, always one step ahead in technology and customer benefits, is an industry leading designer, manufacturer and distributor of precision measurement and workflow solutions for the global construction, geospatial and agriculture markets. Topcon Positioning Group is headquartered in Livermore, California, U.S. ( topconpositioning.com, LinkedIn, Twitter, Facebook). Its European head office is in Capelle a/d IJssel, the Netherlands. Topcon Corporation ( topcon.com), founded in 1932, is traded on the Tokyo Stock Exchange (7732).